You can visit a restaurant of the hotel Ilf where you can order both czech and international cuisine. Sometimes happens that the restaurant is busier than normal so it can cause longer serving times. 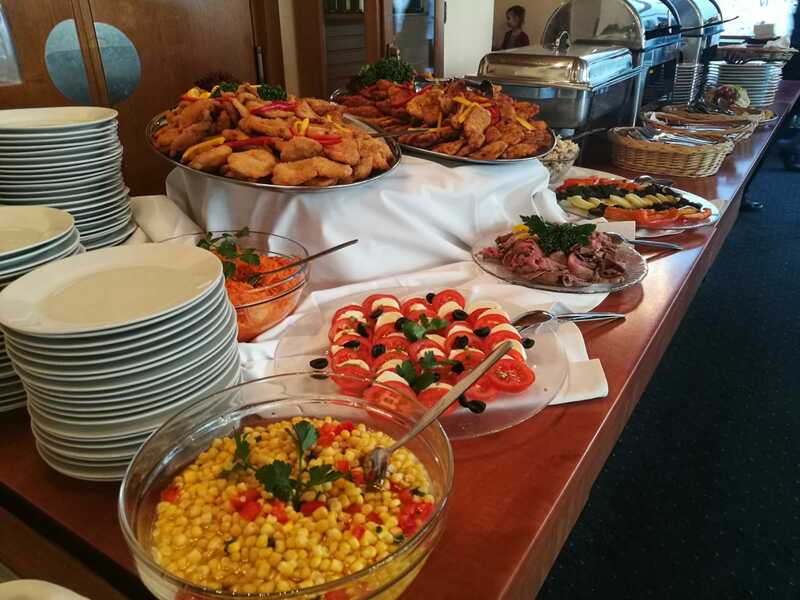 For this reason, we have prepared the option of a buffet, the option where you do not have to wait for the waiters to serve you, as you serve yourselves. The menu consists of a soup, a main course consisting of two types of meat, hot vegetables, two types of side dishes, desserts, vegetable side dishes and pastries. The price for the buffet is set at 199,- CZK.